A College of Education faculty member's impact has been so substantive she was recognized as both a leader and a legend at a recent national conference. 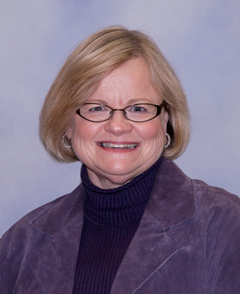 Sally Yahnke, associate professor of curriculum and instruction, was celebrated as a legend in family and consumer sciences at the American Association of Family and Consumer Sciences' 107th annual Conference and Expo June 22-25 in Bellevue, Washington. The recognition focused on her professional contributions to the field as well as the various leadership positions she has held within the organization. Debbie Mercer, dean of the College of Education, believes Yahnke's contributions will be felt for generations to come. "Sally's career has been defined by her commitment to students, her passion for family and consumer sciences education, and her leadership in program development," Mercer said. "She is exceptionally deserving of recognition at the national level." During the conference, Yahnke participated in the panel discussion, "Learning from Legends in Our Field." She was a natural choice for the panel as her autobiography appeared in "Leaders in Family and Consumer Sciences," published by Kappa Omicron Nu National Honor Society for Human Sciences. Yahnke earned a bachelor's degree in home economics education from South Dakota State University, and her graduate degrees from Colorado State University — a master's degree in home economics education specialization and a doctorate in vocational education, teacher education and staff development. Her areas of specialization are curriculum development for family and consumer sciences, career and technical education, and improvement of teaching and learning.